No – it wasn’t me, not up in the air, but it was a sight I remember from a year or so ago now fondly. 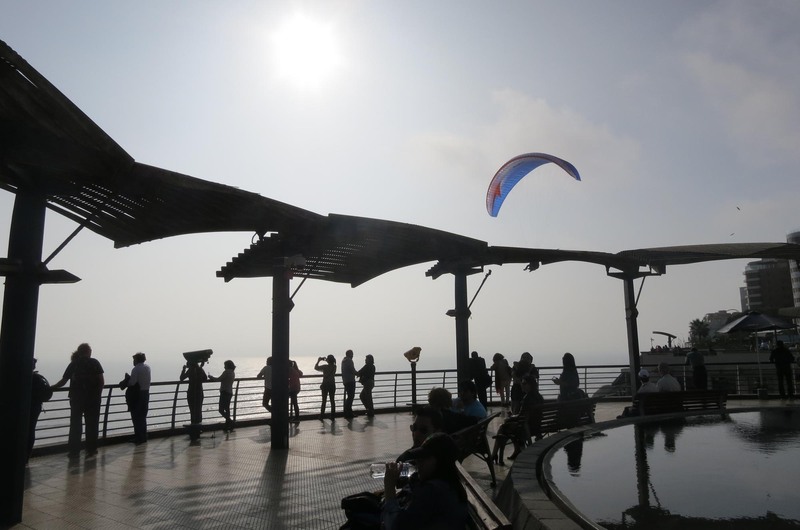 Standing in a flashy shopping centre on top of high cliffs, the ocean crashing into them below, to look up and see the gliders float in was unexpected, and somehow majestic and magical. 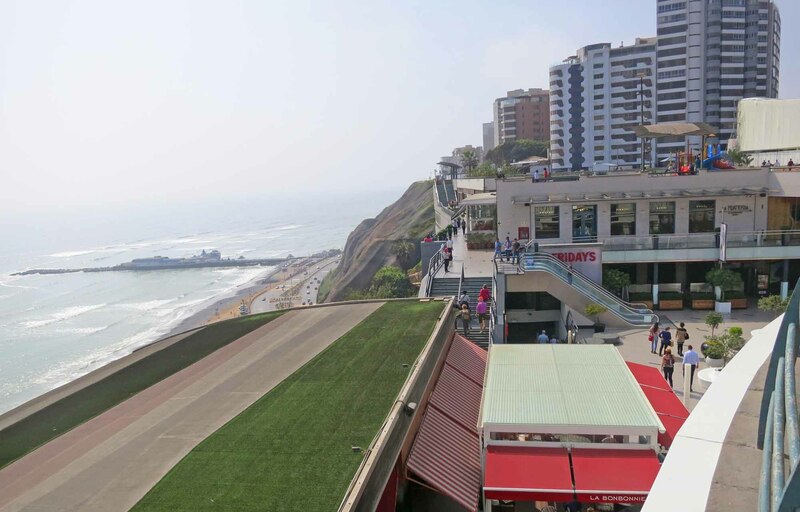 Miraflores is the glitziest, most swanky suburb in Lima. 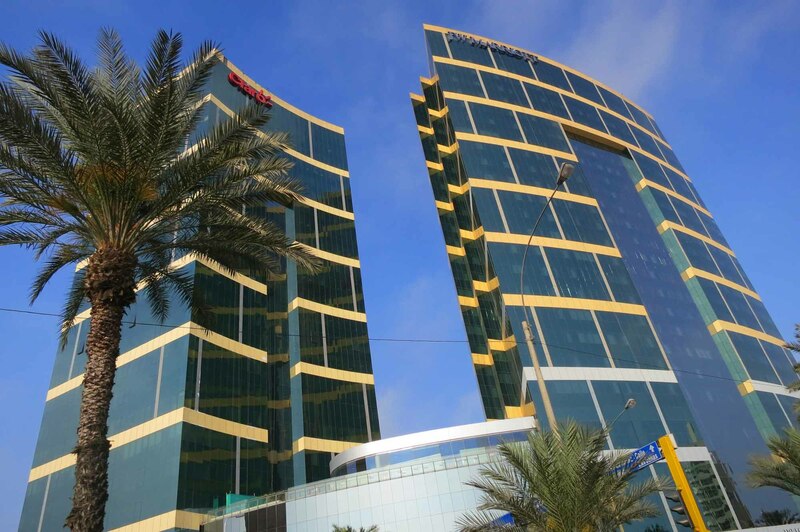 The best hotels are in the district, the nightclubs are there, and apparently it possesses the least poverty in all of Lima. It also is home to Huaca Pucllana, the ancient citadel. To be honest, you feel like you’re in a different city when you’re there. 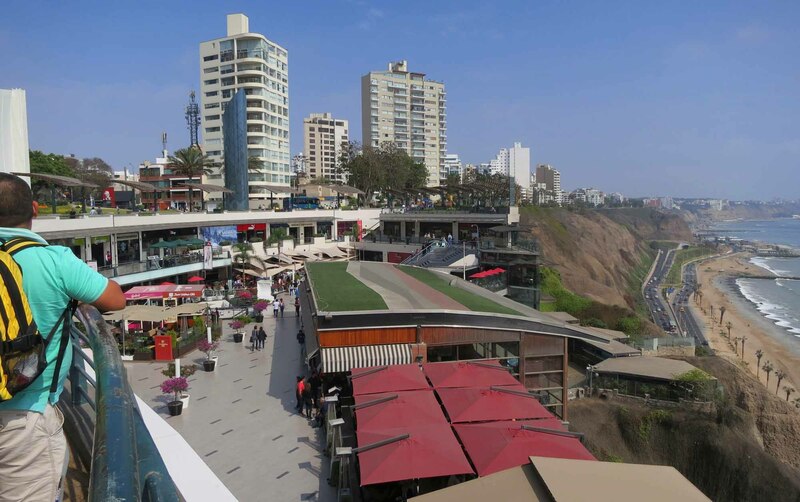 There are parts of Lima that are historical, quite colonial, and they have a grandeur and a magnificence of their own. 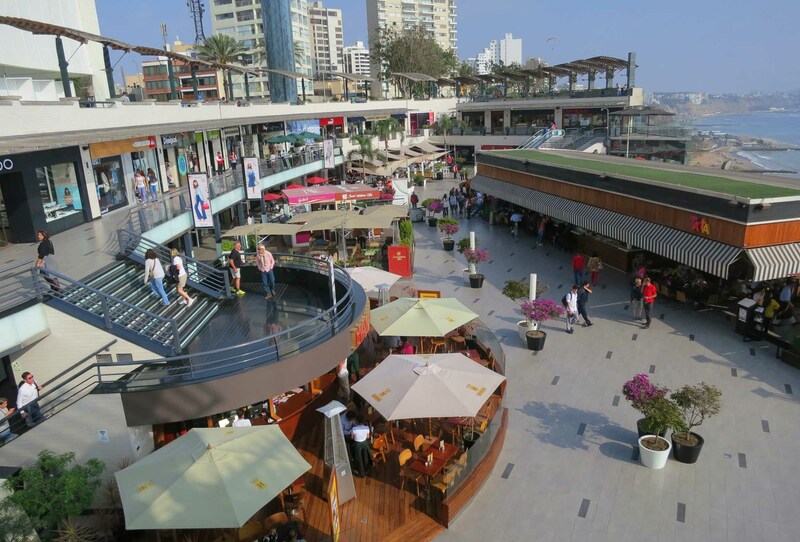 There are other parts which are clearly poorer, but Miraflores feels like a city of the 21st century. It’s modern. It’s in a glorious location. And if you look up, you might find people above you flying through the air. 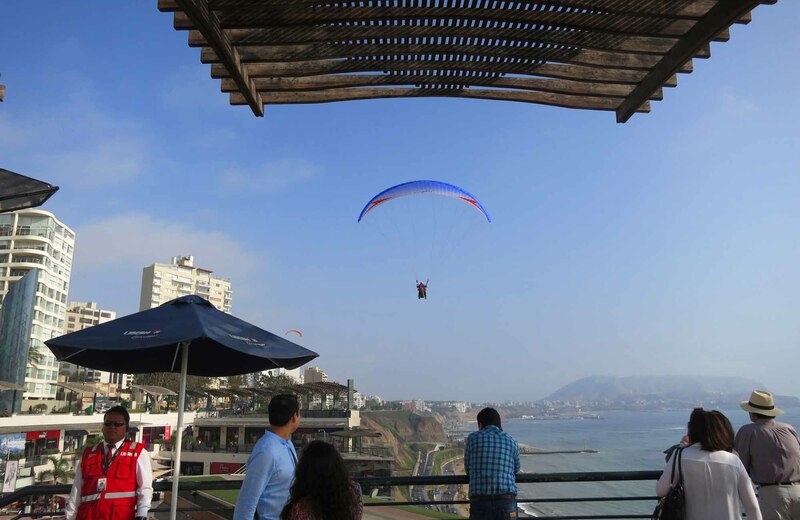 If you want to try the ‘high life’, Miraflores is the place! I want to see the pics! 🙂 You’re far more daring than I! Thanks! Great post! 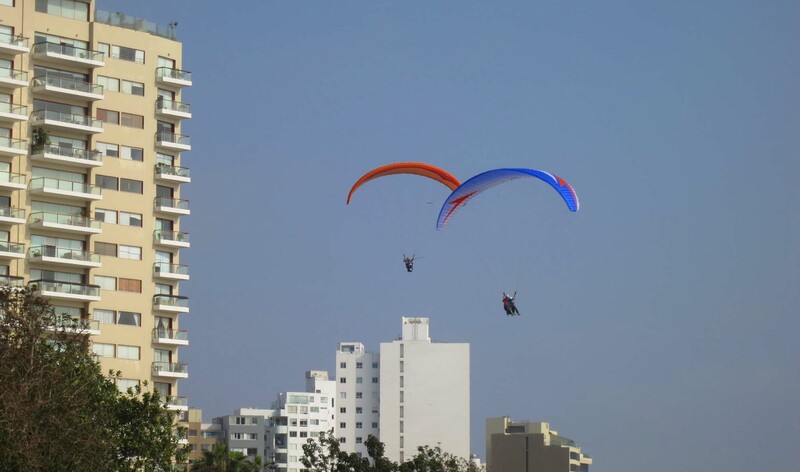 We did tandem hang gliding in Medellin. Loved it. Will try it when we get to Lima! good luck! When they zoomed out over the ocean and beach they would have been soooo high! Great pictures! And I had assumed it wasn’t you up there, hanging by a thread! That mall looks rather nice, too! yeah sadly i am way too chicken to try something like that! me and heights…. not best buds!